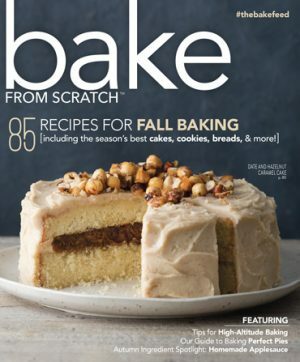 Our French Issue is stacked with both classic and revamped recipes signature to the French. 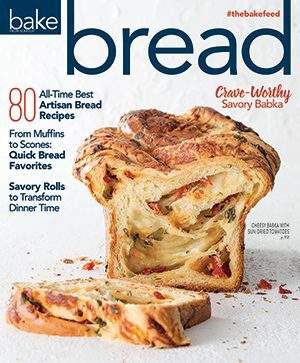 With our March/April 2019 issue, we return to the epicenter of baking: France. Here we are again for a deeper dive into cake, custard, and crème. 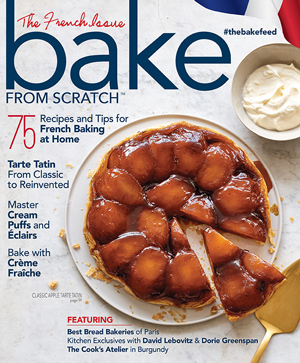 Our French Issue is stacked with both classic and revamped recipes signature to the French. 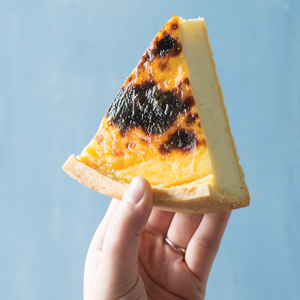 We have the Parisian Flan, a custard creation that checks all the boxes on texture, taste, and sheer beauty. Then we’re focusing on France’s top cultured cream and one of our favorite ingredients to bake with: crème fraîche. 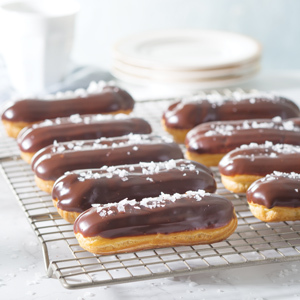 We put fraîche spins on pain de mie, pound cake, and butter-rich mille-feuilles. And what would a French issue be without a guide to pâte à choux, the airy, golden base dough for cream puffs, éclairs, and Paris-Brests? 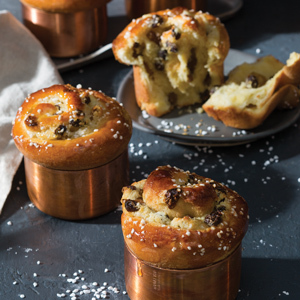 Plus, two famous bakers, Dorie Greenspan and David Lebovitz, invited us into the kitchens of their Paris apartments for a day of baking and fun. Next, we did a boulangerie roundup, singling out the best bread in Paris. But we didn’t just stick to the city! We ventured to the romantic Beaune-based cooking school The Cook’s Atelier and then we headed to Normandy for a day of brocante-ing with Cat Bude. 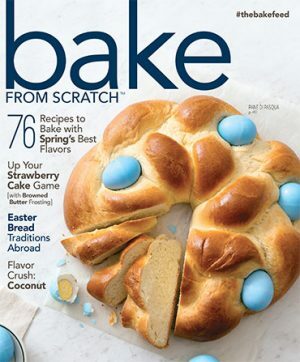 May you enjoy baking from this issue as much as we enjoyed putting it together!